In the nearly 100 years since Hilton Worldwide’s founding, they have defined the hospitality industry and established a portfolio of 12 world-class brands, including their flagship full-service Hilton Hotels & Resorts brand, which is the most recognized hotel brand in the world. Their premier brand portfolio also includes luxury and lifestyle hotel brands, Waldorf Astoria Hotels & Resorts, Conrad Hotels & Resorts and Canopy by Hilton; full-service hotel brands, Curio – A Collection by Hilton, DoubleTree by Hilton and Embassy Suites Hotels; focused–service hotel brands, Hilton Garden Inn, Hampton Inn, Homewood Suites by Hilton and Home2 Suites by Hilton and a timeshare brand, Hilton Grand Vacations (HGV). 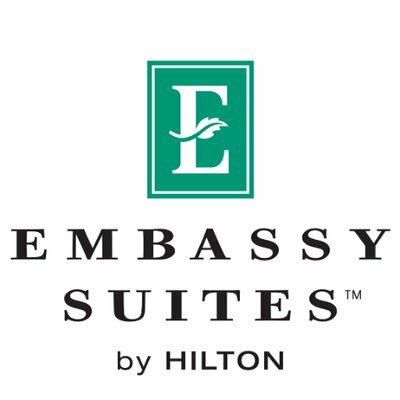 Each Be My Guest Certificate can be redeemed for one night of complimentary lodging (standard room and tax only) at any Embassy Suites hotel, there will be two drawings for this item.